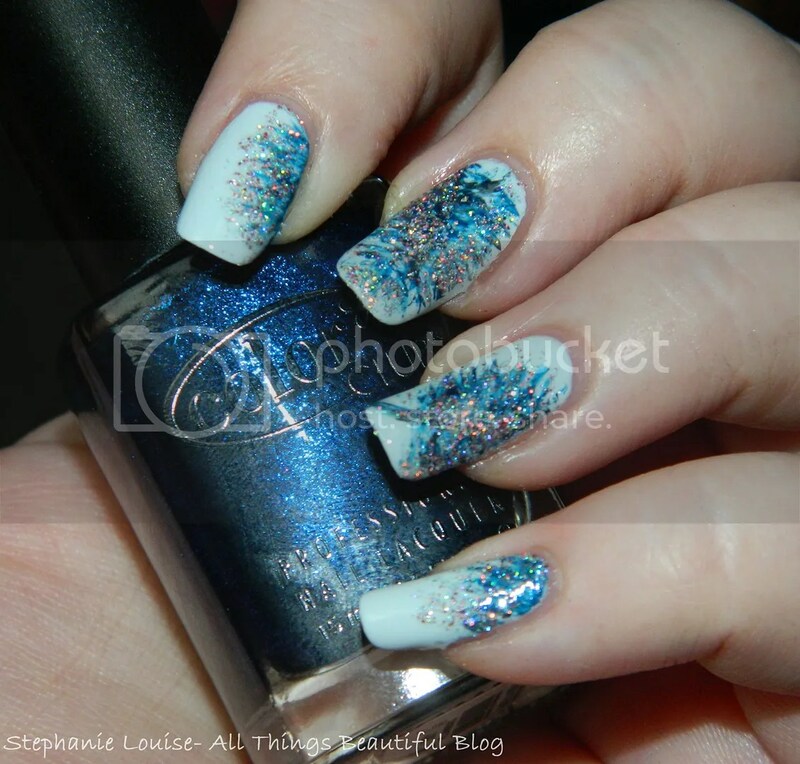 I wanted to create some nail art using the new Color Club Fall 2013 shades I reviewed here. This is what I came up with! Check out what I used & more photos below! 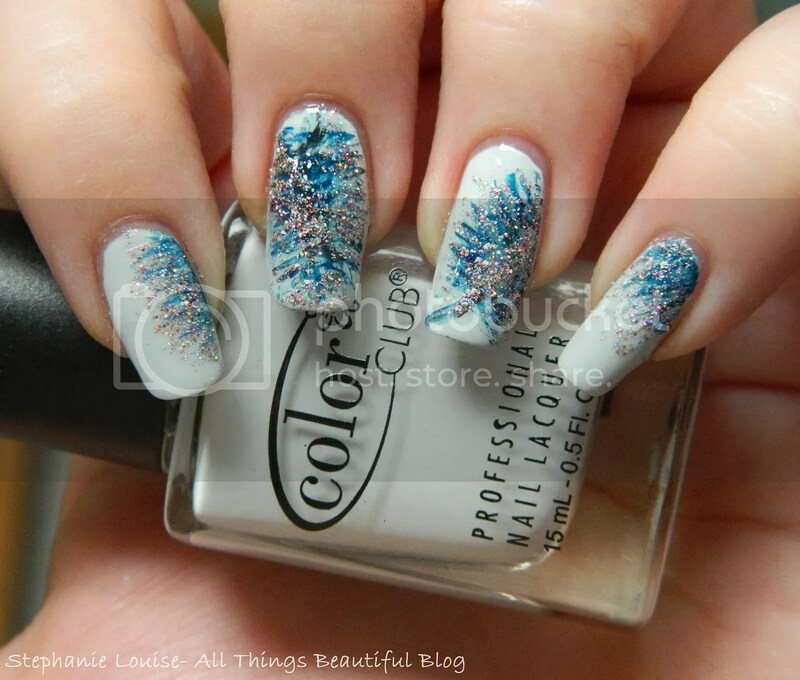 Base color is Coor Club Silver Lake & feathers are Color Club Williamsburg (full review on both of these Fall 2013 shades here). I added a tough of gray to darken up the centers a bit with Color Club Muse-Ical. 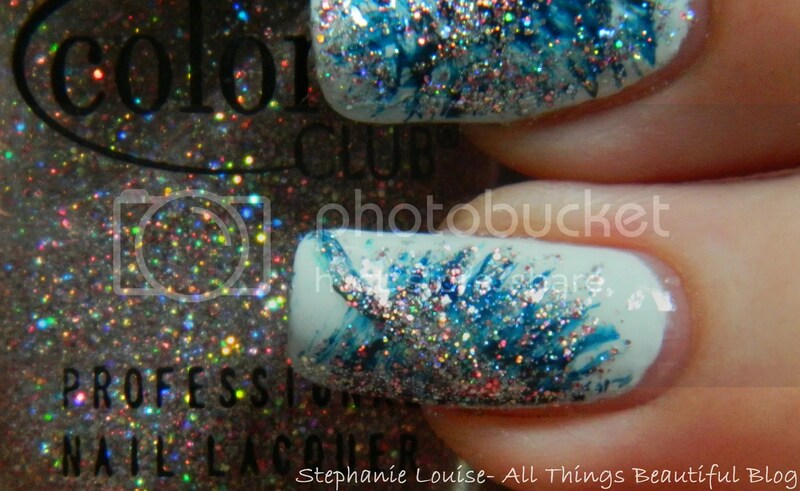 The glitter is Color Club Magic Attraction which I’ve had for ages. This manicure was absolutely inspired by @thary_xoxo on Instagram. I pinned this photo (see it here!) ages ago but I thought I’d try more of a watercolor type feel since I wanted to use grays & blue. I think the glitter adds pizazz (duh, glitter!) 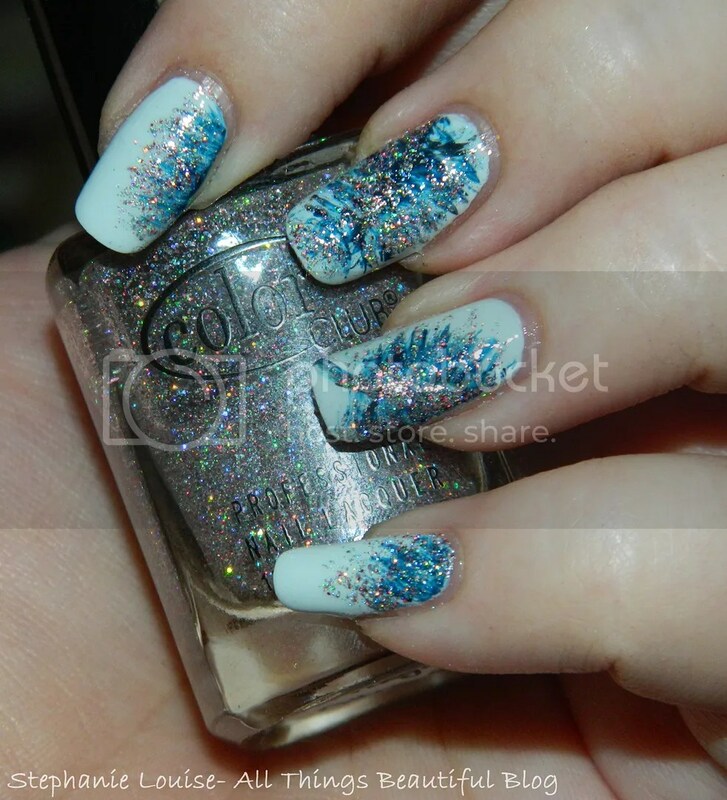 but I think the pink/holo is also a nice accent without being too crazy. I topped it with Color Club top coat as well. I really like it! I think it is really pretty & although most of these shades are fall releases I think it would be pretty for winter too. What do you think? 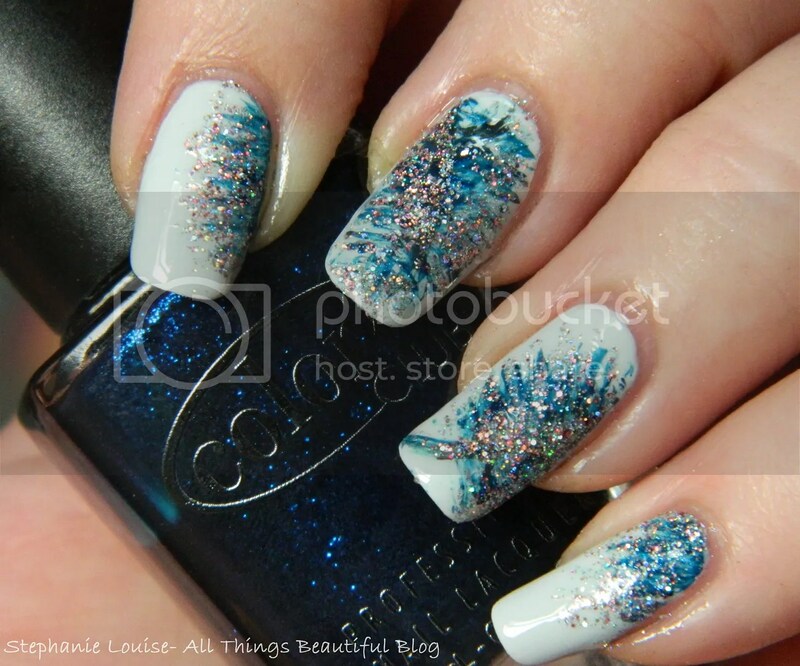 Have you done any feather inspired nail art? I’d love to see it! 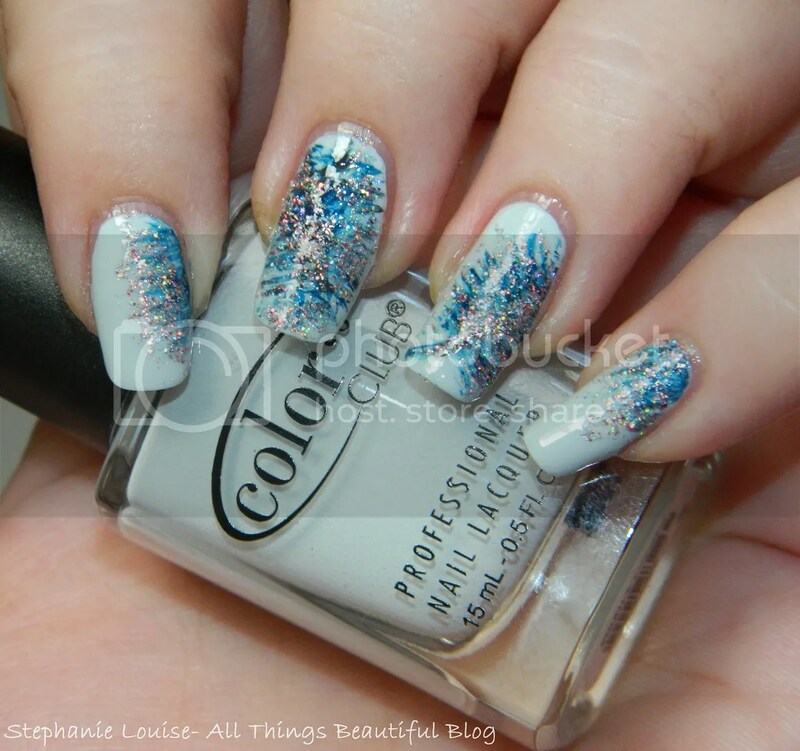 Color Club Fall 2013 Silver Lake & Williamsburg Swatches & Review OPI Sprung + Color Club Williamsburg Easy Fall Nail Art Combo Zoya Fall-ing Leaves Abstract Nail Art! I Scored 99 cent Color Club Nail Polishes at my Walgreens?